Mr Sani Mahmud, FAAN’s Regional General Manager, North Central, said on Wednesday, when Emirates Airlines commenced flight operations at the new terminal. Mahmud said the deadline was given to enable the authority carryout repairs and renovations on the old Terminal C, where foreign airlines had been operating. “(The Emirates Airline) arrived with 176 passengers and 16 cabin crew on board at exactly 3:00 pm with a Boeing 777 aircraft and it is expected to depart with 222 passengers on the same flight at 6:00 pm. 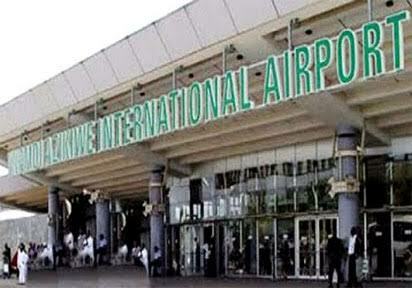 He said that it was the fifth international airline to relocate operations into the new terminal out of 14. “As such, we have given them up to 31st of this month to move into the new facility and we will commence renovation of the old terminal. We are confident that they will all move because we have given them offices and the connectivity is in place,” he said. The remaining airlines that were yet to relocate their operations include: the British Airways, Lufthansa, Turkish, Air France, African World Airline, Egypt, Rwanda Air, Arik and Medview that suspended operations at present.